We design engaging email marketing campaigns. Your design is guaranteed to look amazing in every inbox, on every device. We provide you with an unprecedented level of comfort and ease when creating and sending email campaigns. Contrary to popular belief, email marketing still stands the test of time. Staying in regular contact with customers is one of the best ways to remind the market that you still exist, build trust and show that you appreciate their business. We also create automated email campaigns, also known as “triggered campaigns” let your email marketing automatically communicate with your clients or prospects. We can schedule your campaign, or send it immediately. 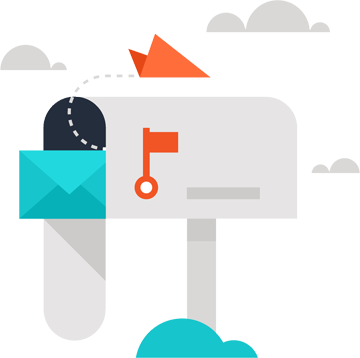 High delivery rates are guaranteed as we use the best email service providers. We offer a cloud-based marketing automation platform that is able to identify and qualify leads based on their online actions. Marketing automation uses technology that helps you determine the stage of the buying process your customers are in, and guide them to the next stage until they eventually buy your product. Implementing a marketing automation platform can dramatically increase the effectiveness of any email marketing strategies already in place, by integrating your website and email campaigns with every aspect of your marketing strategy. This allows the creation of automated tasks with a variety a tactics.